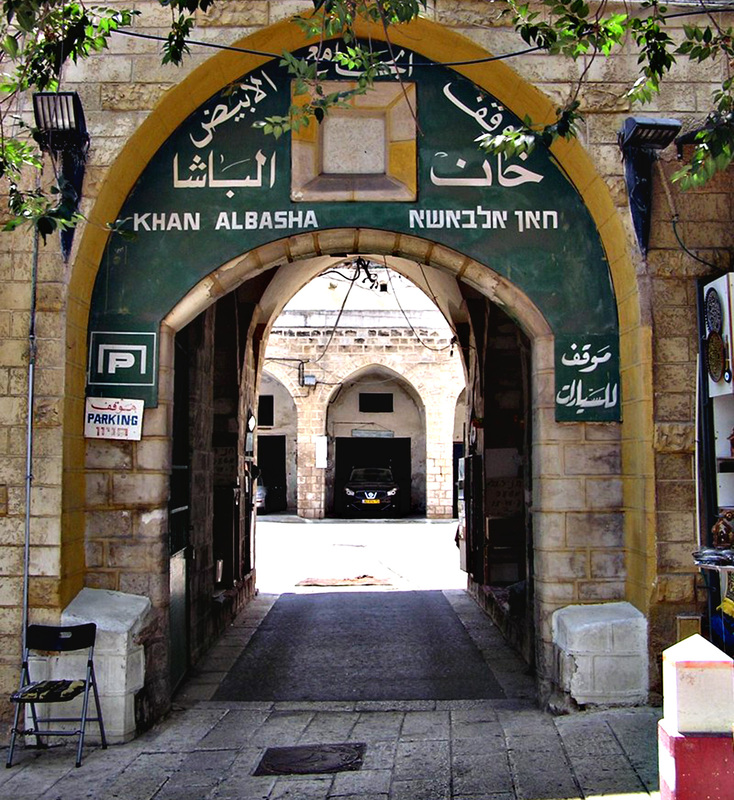 Khan Al-Basha Khan mean an inn or a motel. For centuries it was Nazareth's most important caravanserai (caravan station). The Khan was renovated in 1812 by Abdoulah Pasha. In these days the Khan is used for businesses, offices and workshops. It's located in Casanova street, which leads to the market and to the Basilica of Annunciation. The Khan was built of one floor and contained rooms around a courtyard that was used in the old days as stables for horses, camels and donkeys belonged to the traders who came to Nazareth for trading and business purposes and stayed in the Khan. About thirty years ago the second floor was built.